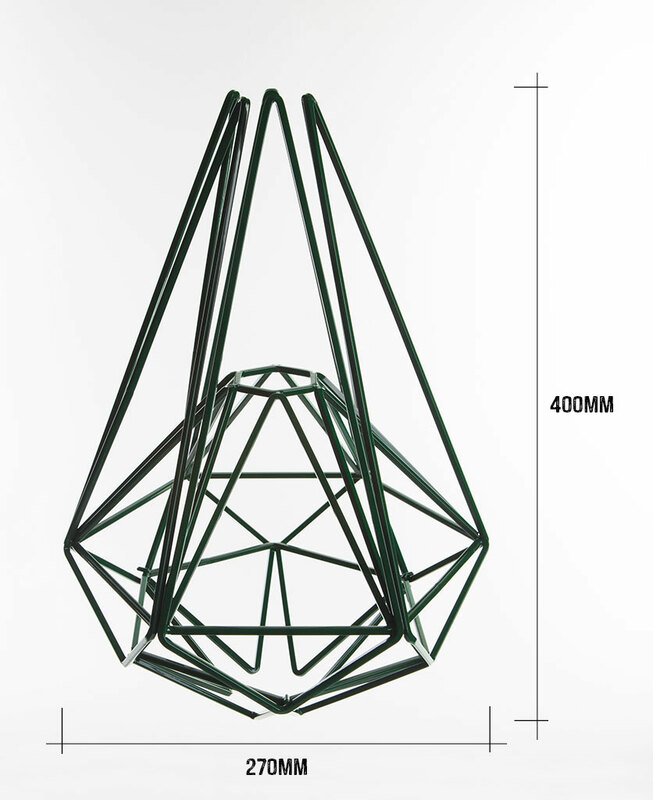 We absolutely love our Matcha geometric pendant light. So much so, that we’re wondering just how many we can fit in to our D&R HQ! 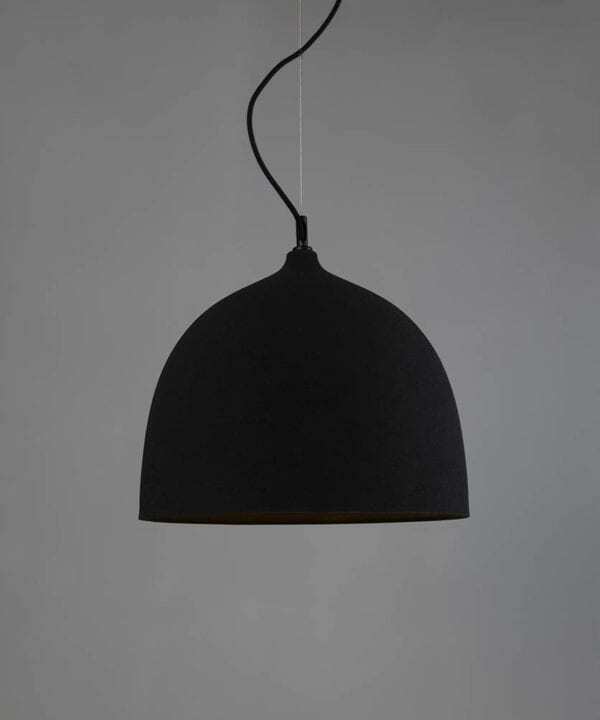 The cool green shade combined with the black and white cord is such a perfect combination. If the Matcha was a person, and it had a CV (stay with us on this), its key strength would be ‘works brilliantly on its own and equally as part of a team’. 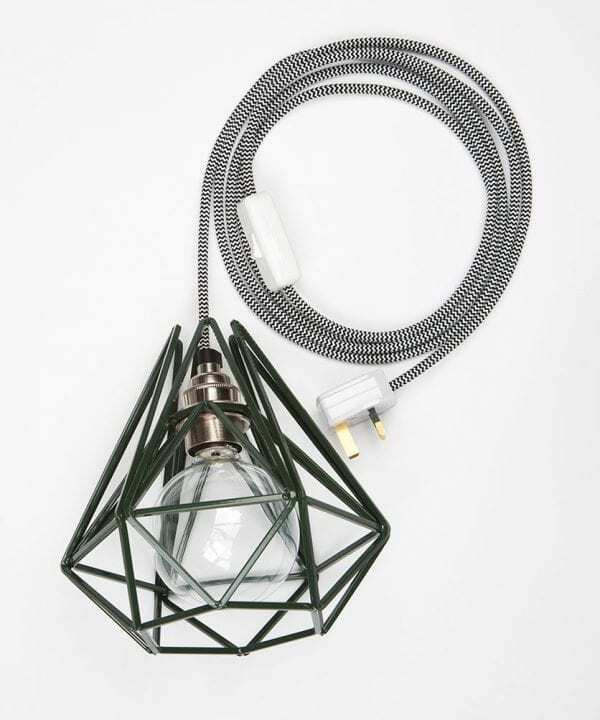 That pretty much sums up the versatility of this beautiful geometric cage light. For a one-off statement piece try hanging it above a side table by your favourite armchair to create a cosy reading corner. By freeing up space on your side table you’ve now got tons more room to pile up your stash of chocolate/crisps/biscuits/wine. Winning! For a double whammy, how about hanging a Matcha-ing *groans* pair of these over your bedside tables to bring a calming vibe to your bedroom. A just about grey paint would be absolutely perfect here. Add some crisp white bed linen, black and white artwork and a few plants, and you’ll never want to leave this room. 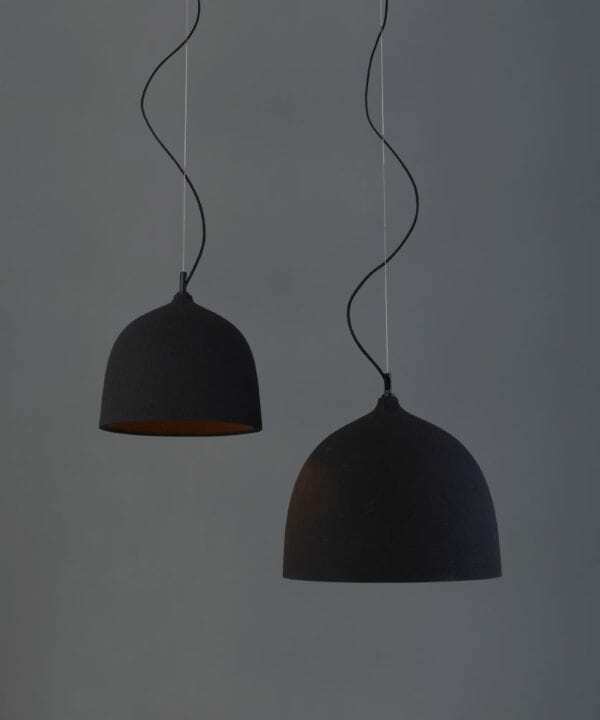 Some people think three’s a crowd but luckily this doesn’t apply to lighting. 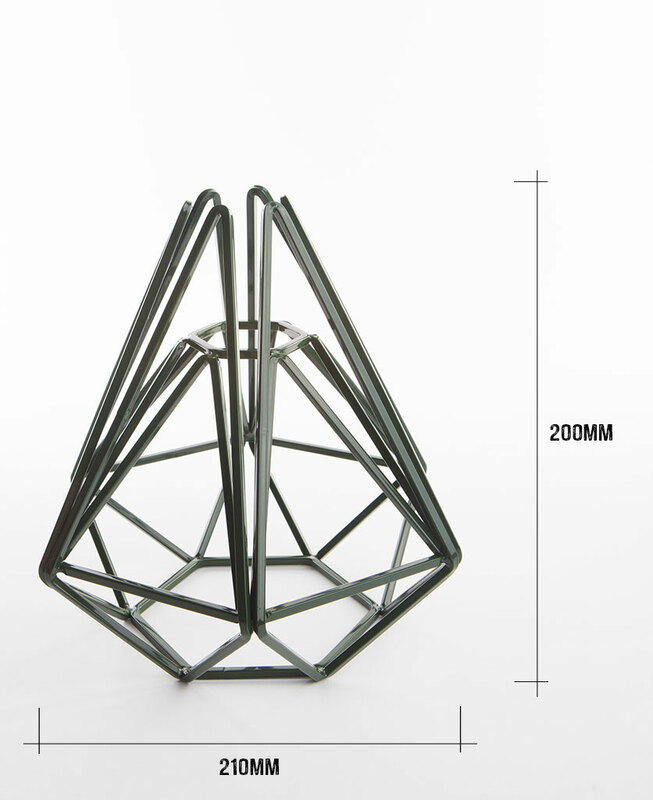 We think a trio of these, in a row above a kitchen island or dining table would look superb. 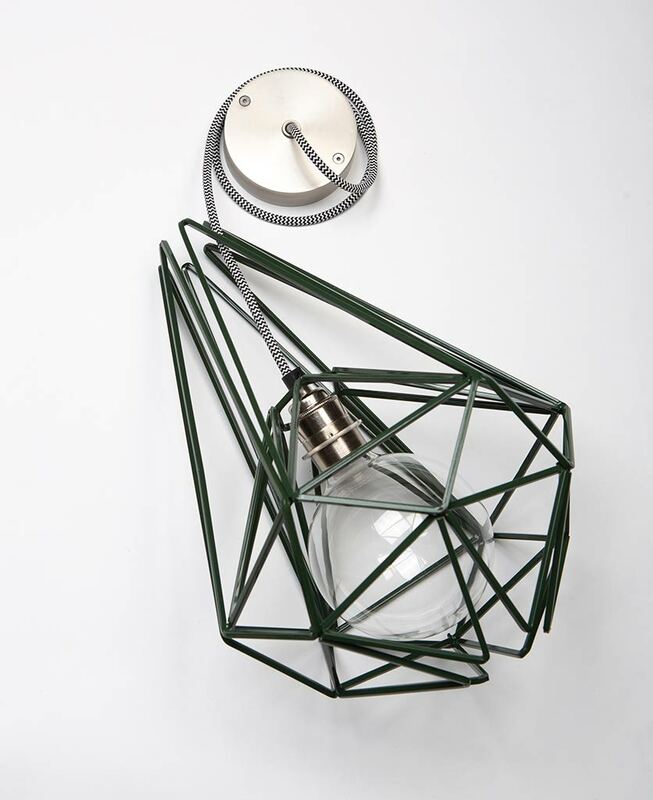 The green shade would work brilliantly in pretty much all kitchen styles, from glossy sleek monochrome to rustic exposed brick and natural wood. Don’t forget your LED bulb compatible dimmer switch to help you create the right ambience. 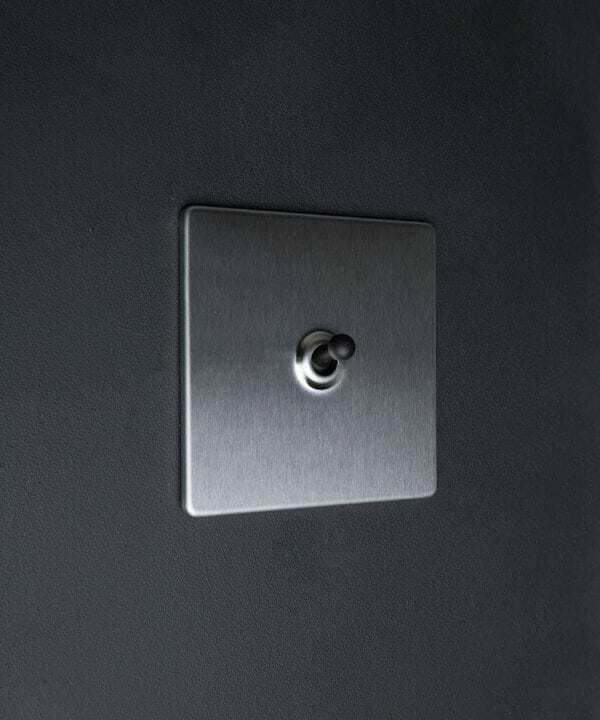 Head over to our range of switches, dimmers and sockets to find the perfect match. 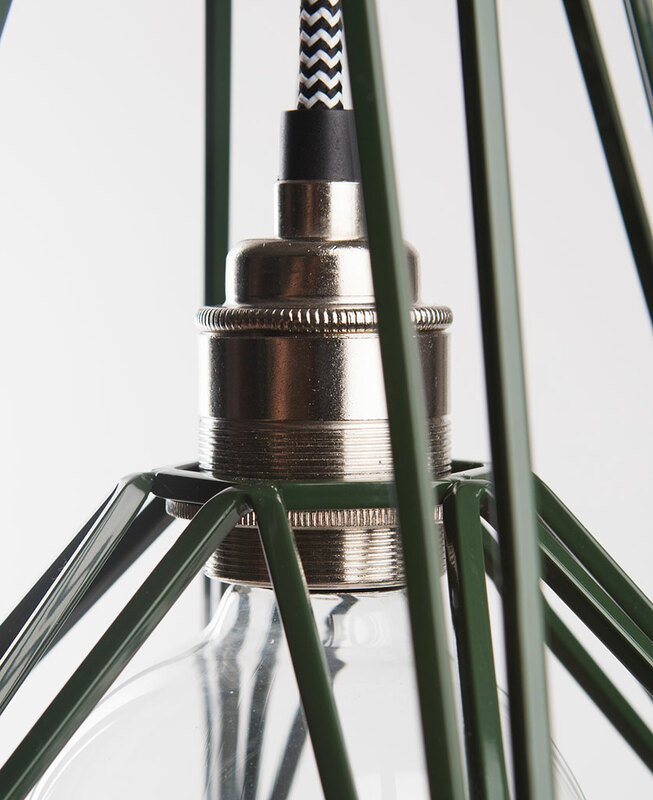 Each lamp is fully assembled with cage light shade, a silver threaded E27 bulb holder, a 1m length of black and white fabric cable, silver ceiling rose and an XL globe hidden filament LED bulb in either clear (ambient) or frosted (brighter).